Today’s healthcare ecosystems are governed by a myriad of global compliance regulations. Every year scores of life sciences companies operating globally are penalized for non-compliance. Despite rapid developments in technology, a vast majority of medical device and pharmaceutical manufacturers still rely on manual processes and homegrown systems, which impede adherence to compliance mandates. MediSpend—the frontrunner of compliance technology solutions —pioneered Software-as-a-Service (SaaS) cloud-based solutions to mitigate the challenges that stem out of legacy systems and processes. The paradigm shift of cloud technology is the mainstay for the Portsmouth, NH based company to assist life sciences companies in improving efficiency of their human workforce and thereby reducing manual errors. 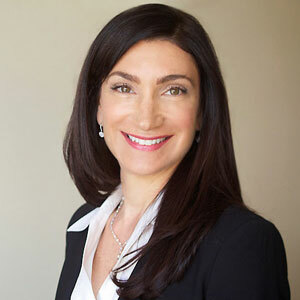 “The MediSpend Compliance Cloud helps healthcare organizations effectively manage compliance regulations by leveraging the data collected to drive business value,” says Michaeline Daboul, president and CEO of MediSpend. When Michaeline Daboul started her career, her vision was to dissolve the boundaries created by siloed workflows in pharmaceutical organizations, which hindered their shift towards technology. She sought to devise a solution that simplifies the manual workflows required to comply with overwhelming healthcare laws that govern life sciences companies. “We had to consider everything from collecting data from legacy enterprise systems, moving from manual workflows to automated processes and of course change management when developing our SaaS platform.” Daboul commented. The product that stemmed out of these efforts is the MediSpend Compliance Cloud, a SaaS platform that eliminates the complexities generally associated with compliance adherence when interacting with healthcare providers (HCPs). This turnkey offering centralizes all information, helps organizations control and substantiate HCP payments, and enables healthcare entity specific data capture. Back in 2011, MediSpend was the first company to launch a SaaS-based data aggregation solution to mitigate compliance challenges. Carrying the legacy forward, MediSpend has worked with major pharmaceutical and medical device organizations, over the years to garner insights about the predicaments prevalent in the landscape. Empowered with these insights, the firm developed and launched MediSpend Engagement Manager, which is a cloud-based end-to-end software solution that enables organizations to organize the entire HCP engagement and management processes. This significantly reduces risk and maximizes compliance by substantiating business needs, qualifying HCPs, and documentation. Additionally, with the analytics tool integrated within MediSpend Engagement Manager, organizations can aggregate data from multiple sources, analyze them, establish fair market value and use it to their advantage. Corroborated by a pool of software and legal experts MediSpend’s solutions mitigate risks and assists organizations to navigate the intricate compliance puzzle. In one instance, a global medical device manufacturer, which has been MediSpend’s client for five years, decided to automate the process of HCP engagement. They evaluated many solutions available in the market. After weighing the options, the company decided to implement MediSpend’s upstream HCP Engagement Manager solution. Not only did MediSpend meet all of the security thresholds that the organization had set, the simple to use interface coupled with the ability to aggregate data from multiple sources and fully integrate into the company’s enterprise proved extremely fruitful. MediSpend is now the compliance system of record for this global medical device leader. In the wake of global expansion that MediSpend is engaged in, the firm emphasizes on strategic collaboration to bring forth the best of technology that not only solves their customers’ problems but also delights them. Additionally, the firm endeavors to invest more in research and development with the vision to solve compliance related issues for the life sciences industry through technology-driven and value-based offerings.